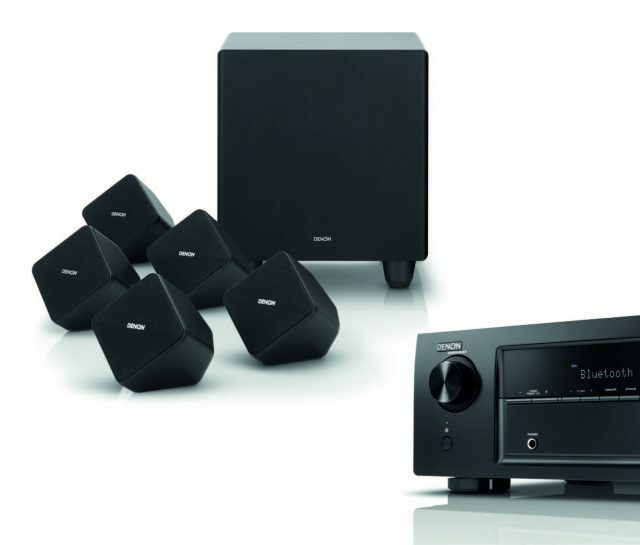 Create a full true Denon Home Theatre with AV Receiver included in package deal. 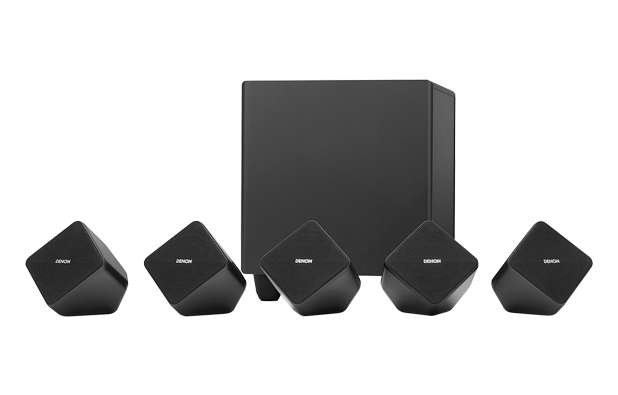 The new DENON SYS-2020 // AVR-X520BT speaker and amplifier package includes five compact speakers with a beautiful black finish, seamlessly fitting into modern living rooms. Completing the audio experience, the matching subwoofer delivers 100 watts of powerful and deep bass. surround sound experience to enhance the enjoyment of movies, music and games. 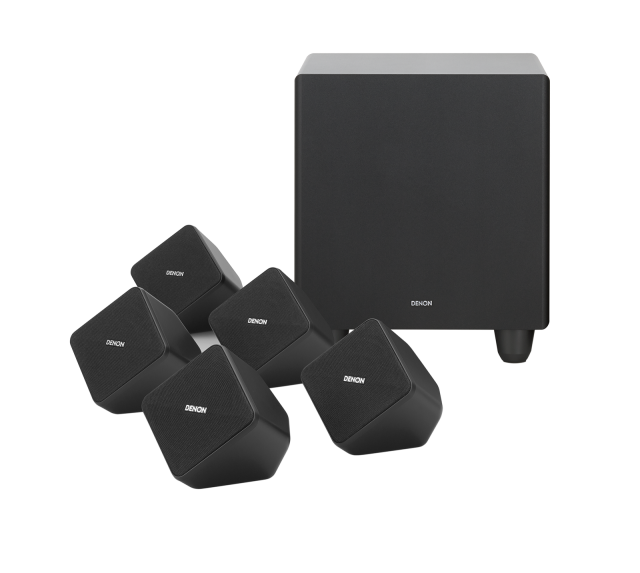 subwoofer, this set is ideal to set up your home theatre seamlessly, especially in your living room when space is limited.